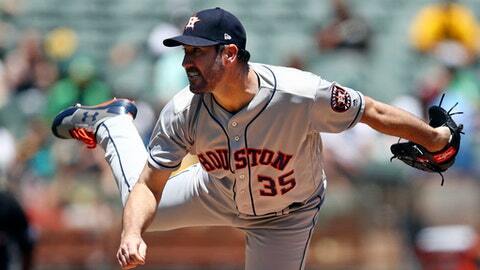 Houston tries for its 13th straight win with AL ERA leader Justin Verlander on the mound against Tampa Bay. The Astros‘ ace is 9-2 with a 1.61 ERA, though he’s posted a 3.79 ERA over his past three starts and matched a season high with two homers allowed last time out in a 7-3 win over Oakland. Rays lefty Blake Snell (8-4, 2.58) will try to slow down Houston after the Astros beat Tampa Bay 5-4 on Alex Bregman’s game-ending two-run double Monday.